I am fortunate enough to have recently been hired at Microsoft as a Solutions Architect in the Industry Experiences team within the Cloud and AI organization. Our team is responsible for helping companies adopt and thrive on Azure by focusing on solving problems for specific industries like Health and Life Science (my focus), Insurance, Banking and Financial Services, Manufacturing, and Retail. This helps us identify first with a customer’s domain so we can speak their language when it’s time to talk Azure. Our team is very new and just getting started. This means things like our pages linked above will be maturing over time. Solution architects are paired with Program Managers who specialize in an industry area, like retail. This allows the solution architects to develop domain knowledge and grow into the industry where we are focused. This organizational model helps collaboration happen at all levels and helps us to really identify with our customers. So, what do we do to help companies and their technologists adopt Azure in meaningful and efficient ways? From our team, there are several answers. Firstly, we create content relating an industry to an Azure service or solution. That content takes many forms, with pieces landing on docs.microsoft.com, Azure.com, our individual LinkedIn articles, personal blogs, YouTube videos, and even our @IndustryXp twitter account. Next, we might partner with a company in an Architectural Design Session (ADS) to determine their best use of Azure in their unique solution, helping fill in some of the knowledge gaps around Azure. When getting started, the knowledge gap with Azure can be daunting, especially since so many new features and services are rolled out so quickly. The Azure Blog is a great place to keep up with new offerings and capabilities. Finally, we do things like building Proofs of Concept to prove out an idea or to solidify a solution. There is so much for me to learn, and I’ll be blogging here about what I learn as my Azure muscles get all bulky. On the IaaS side, I’ve been standing up VMs like a madman. Redhat, Ubuntu, CentOS, and Windows machines, of course. Lately, we’ve used IaaS servers to execute proof of concept workloads with Machine Learning with R Server. On the PaaS side of the house, I’ve been playing with some of our offerings. One thing to realize up front is that pretty much any service will need an underlying data storage service. Storage is fundamental to most any service. Accordingly, you’ll see more blog content about Azure storage options soon. I really feel it’s important to have that under your belt before wading into deeper PaaS waters. I’d like to bring you along with me through my Azure learning experience. 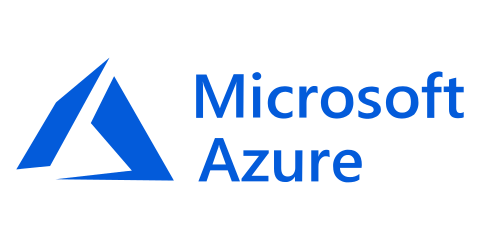 As I said, I’ll be writing more about Azure here at Elegant Code, hoping it helps us all make better cloud-enabled software.